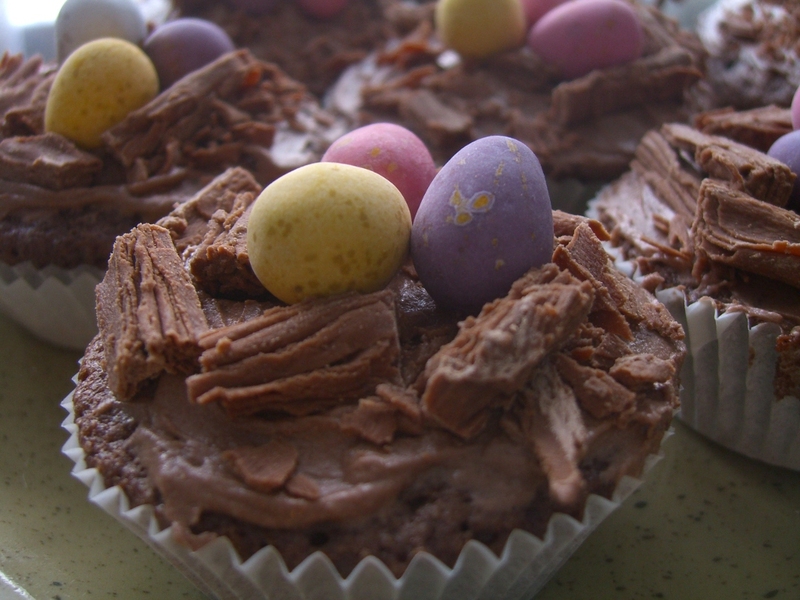 The last of our Easter Treats this year, these “fairy cakes” are so good they taste otherworldly. Chocolate, chocolate, chocolate and chocolate makes a perfect combination. I can’t quite figure out what it is about these fairy cakes that makde them so morish. Perhaps Anna went overboard with the cocoa. Perhaps the combination of sweet chocolate on top complements the slightly bitter cocoa in the cake. Perhaps these were cooked to exact perfection. Whatever the reason, there was something special about these guys that made it difficult not to stuff all 6 in my mouth in one go. Who made it: All Anna’s handiwork. Recipe: Fairy Cakes, by Joanna Farrow, page 34.